The Sunday Times Number One bestseller A Daily Telegraph / Financial Times / Guardian / Sunday Times / The Times / New Statesman / Observer Book of the Year 'BARNES'S MASTERPIECE.' - OBSERVER In May 1937 a man in his early thirties waits by the lift of a Leningrad apartment block. He waits all through the night, expecting to be taken away to the Big House. Any celebrity he has known in the previous decade is no use to him now. And few who are taken to the Big House ever return. 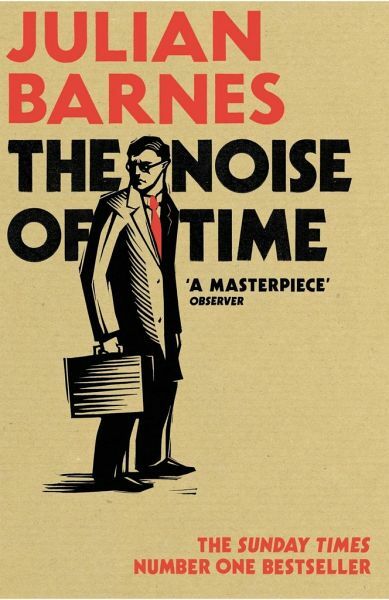 So begins Julian Barnes's first novel since his Booker-winning The Sense of an Ending. A story about the collision of Art and Power, about human compromise, human cowardice and human courage, it is the work of a true master. Julian Barnes is the author of twelve novels, including The Sense of an Ending , which won the 2011 Man Booker Prize for Fiction. He has also written three books of short stories, Cross Channel , The Lemon Table and Pulse ; four collections of essays; and two books of non-fiction, Nothing to be Frightened Of and the Sunday Times Number One bestseller Levels of Life . He lives in London. "A great novel, Barnes’s masterpiece… Exquisite, intimate detail. He has given us a novel that is powerfully affecting, a condensed masterpiece that traces the lifelong battle of one man’s conscience, one man’s art, with the insupportable exigencies of totalitarianism." Es ist ein wunderbares, schön gestaltetes Buch, auch mit mittelmäßigen Englischkenntnisses in der einstweilen nur erältlichen englischen Originalausgabe sehr gut lesbar. Ich bin froh, dass es das Buch noch nicht als e-book gibt. So ist das Buch weit mehr als der Text. Nach meinem Eindruck muss man sich allerdings in Schostakowitschs Bioigraphie und seiner Musik einigermaßen auskennen, um das Buch wirklich genießen zu können. Dann aber nimmt es einen gefangen! 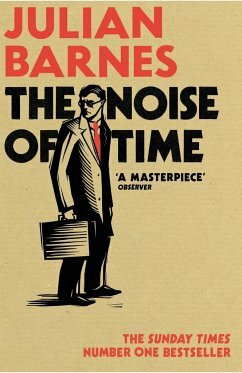 Für mich ist es das erste Buch von Julian Barnes, das ich lese. Das macht mich sehr negierig auf die zahlreichen bereits erschienenen weiteren Werke dieses Autors!